PM Lee reiterated this position in March 2009, in an interview with the British Broadcasting Corporation (BBC). “We go on a system which is open, honest, transparent,” he said in response to the interviewer’s question on his salary. The issue of ministers’ salary is currently being debated between Foreign Affairs Minister, Mr George Yeo, and the secretary general of the Singapore Democratic Party, Dr Chee Soon Juan, on Facebook. (See here). “The salary ranges include a discretionary component decided by the PM which is confidential,” said Mr Yeo in response to Dr Chee’s question on how much Mr Yeo himself is being paid. In December 2007, civil servants’ salary was revised upwards to 77 per cent of the benchmarks against the private sector. The Prime Minister has discretion on how much bonuses each minister receives. This includes a GDP Bonus which is tied to the performance of the economy, and a Performance Bonus, decided by the PM. Depending on the grade of the minister and the state of the economy, bonuses range from 0 months to 14 months. The Prime Minister’s salary is currently S$3.87 million, while that of his ministers range from $1.5 million to $3.4 million. While it may be true that the “salary is everything there is”, Mr George Yeo’s remarks that there is a “discretionary component” in the calculation may need to be further explained by the government. Was Mr Yeo referring to the bonus component of the salary? At the moment, how much each minister receives in terms of bonuses is kept secret. 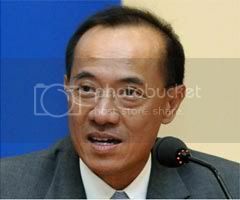 Singaporeans do not know, for example, how much in terms of bonuses Home Affairs Minister Wong Kan Seng received, in light of the escape of Singapore’s number one suspected terrorist, Mas Selamat Kastari, in 2007. Since the PM and various ministers have insisted that remuneration is “transparent” and, according to Minister Mentor Lee Kuan Yew, “completely above board”, Singaporeans deserve to know what this “confidential discretionary component” is.